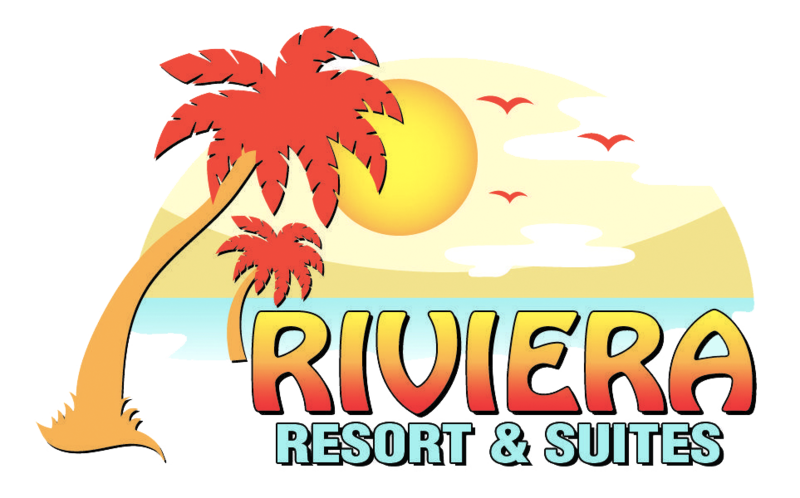 Both the Riviera and Stardust are quiet, clean, and comfortable family resorts. The goal is for everyone to enjoy a stress free vacation. For the comfort of all guests, our properties maintain a “Zero Tolerance” policy. Any disturbances, inappropriate behavior, excessive drinking, or unregistered visitors will not be tolerated! All units non-smoking. Deposit required for reservation confirmation. Reservations are not transferable. Payment due in full on arrival: Cash - Travelers' Checks - Credit Cards - Visa - MasterCard - Discover. No personal checks on arrival. No refunds within 14 days of arrival, no exceptions. Cancellation fee of 25% of 1st nights rent with 14 days notice. All requests for changes are at the discretion of management and a $20.00 processing fee may apply. Any additional person $30.00 per night at the discretion of management, not to exceed maximum room occupancy. One child 2 & under free and must be included in occupancy. Additional persons must be confirmed in advance. Please do not arrive with additional persons at check-in; reservations doing so will not be honored. Misrepresentation voids reservation. Rollaway bed $20.00 per night. Standard crib $20.00 per night. No pets permitted on premises. Check-in time after 3 PM. Checkout time 11 AM. Reservations held until 6 PM unless notified. One standard size parking space per unit. Additional parking is not available on our lot. All reservations should reconfirm 48 hours prior to arrival. Within 14 days of arrival, there are no refunds for fees paid regardless of circumstances including weather or emergencies. All rates subject to 14% Tax.